Users of binoculars adjust the space between the eyes by opening the rotation axis between the two eyepieces. However, this axis is also used to adjust the focus by moving the lenses inside the eyepieces back and forth. In the case of "New Foresta" HR series, the rotation axis is divided in to front and back bridges. This allows the left and right eyepieces to be held in place more firmly, and the handling is perfect, but from the technological point of view, the division of the rotation axis is a technique which is extremely difficult and requires high accuracy. Normally, binoculars tend to be thought of as "expensive products". However, "New Foresta", being an intermediate model, realized this special split structure and contributed to the development of an ideal technology, and this point can be highly evaluated. 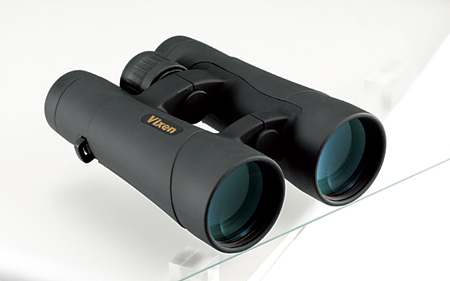 It is no exaggeration to say that it is a "spectacular achievement" brought into the world of binoculars. There are refreshingly detailed finishes in terms of design, and this is an epoch-making model that shows the new direction of "dahaprism" binoculars. Prioritizing the ease of usage and the technology to make it possible; the ability to provide them in a reasonable price range can only be gained through high design technique and quality management.